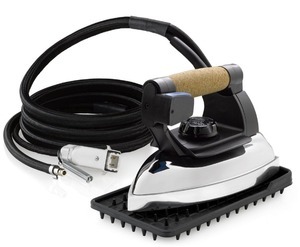 COMMERCIAL STEAM IRON: Our professional 2150IR iron with an 3.3m/10.8 ft cord and steam hose makes it a the right iron for a drapery work room or any one needing to take their iron a little farther. 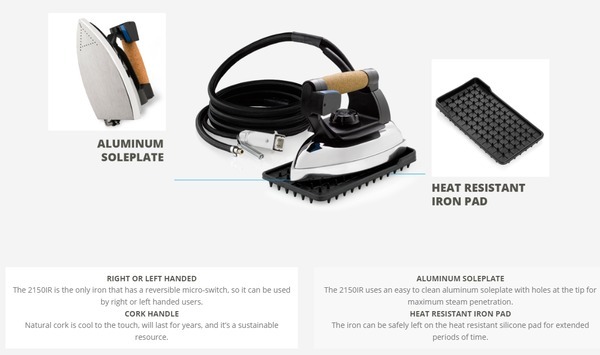 The 2150IR uses a die-cast aluminum plate with 32 separate steam chambers, which eliminates condensation even when used with an extra long steam hose. 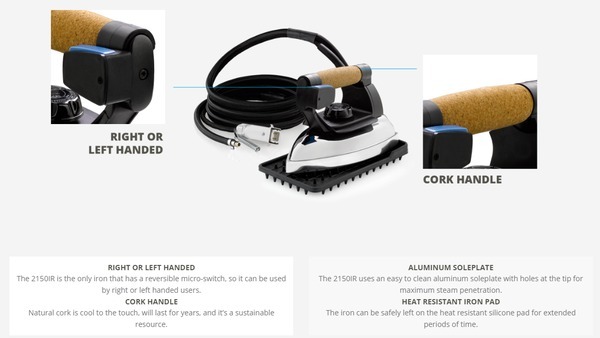 A manual reset thermal fuse, and thermostat with heavy-duty round riveted points ensures safety and longevity.